Red Yeast Rice is a unique natural product that's been used in Asian traditional medical systems since approximately 800 A.D. 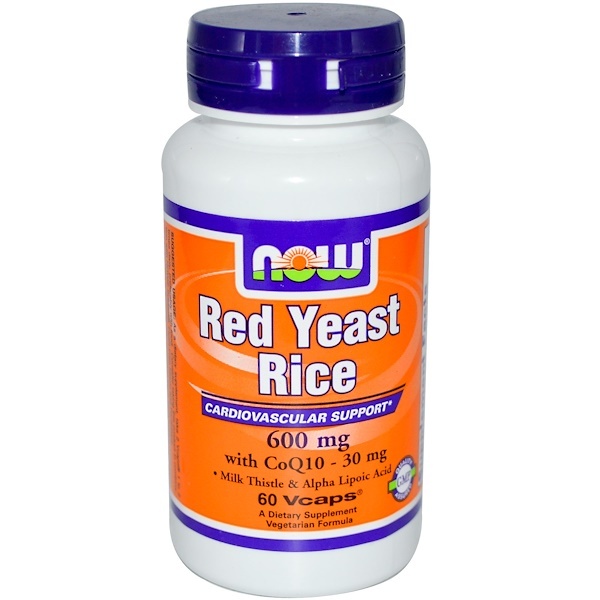 It is produced by the fermentation of red yeast (Monascus purpureus) with white rice. 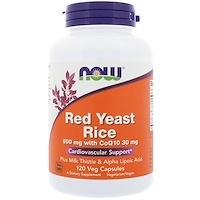 NOW Red Yeast Rice is carefully produced to avoid the presence of citrinin, a sometimes toxic by-product of the fermentation process. 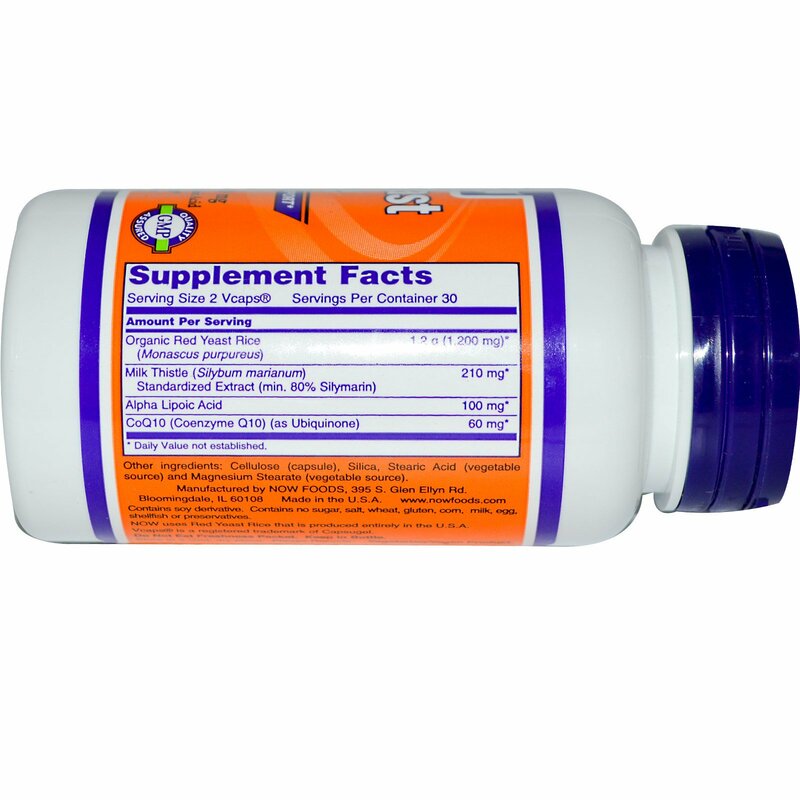 This product is further enhanced with the addition of CoQ10 to support healthy cardiovascular and immune system function, Milk Thistle Extract to support healthy liver function, and Alpha Lipoic Acid to provide antioxidant support. As a dietary supplement, take 2 Vcaps 1 to 2 times daily, preferably with food. Consider taking this product in combination with NOW Sytrinol, Flush-Free Niacin and Pantethine. Целлюлоза (капсула), кремнезем, стеариновая кислота (растительный источник) и стеарат магния (растительный источник). Содержит соевое производное. Не содержит сахара, соли, пшеницы, глютена, кукурузы, молока, яиц, моллюсков или консервантов. Do not use if you are pregnant, may become pregnant, or are breast feeding, because using this product may harm the fetus. Individuals with liver disease or those currently taking statins or other medications should consult with a health practitioner prior to use.